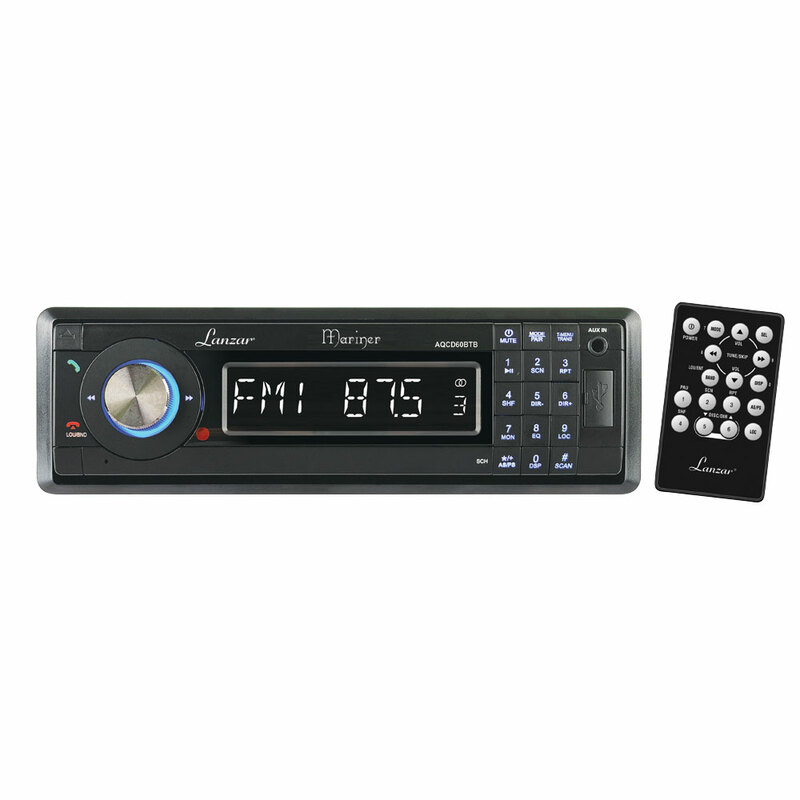 The AQCD60BTB is a convenient Bluetooth-enabled headunit for your marine vehicle. 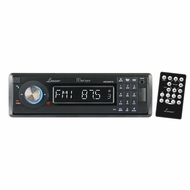 It’s equipped with AM/FM radio, a USB port and SD card slot for direct playback of your digital music, plus a CD player. There’s also a 3.5mm aux-in jack on the front of the unit, so you can connect virtually any music player with a standard headphone jack output. The keypad on the front of the headunit allows you to dial numbers, answer phone calls, and hang up over Bluetooth. You can also make hands-free phone calls and stream music from your Bluetooth-enabled smartphone. The beautiful white LCD display shows artist and song information (ID3 tags) for MP3s played from your SD/USB cards. Store up to 30 of your favorite radio stations — 18 FM, 12 AM. Stereo line out jacks let you connect this headunit to an external amplifier or speakers. Wireless remote control included. 4 x 60 watts maximum power output. Color: black.